For administrative reasons, this server exposes a number of encrypted WCF endpoints. During startup the WCF runtime examines the certificate and checks whether it is valid. During this operation, it tries to access the private key and calls the Win32 native function CryptFindOidInfo. As it turns out, this function may contact a domain controller to fetch certain information. This “feature” can be disabled by passing the CRYPT_OID_DISABLE_SEARCH_DS_FLAG to the function, but the .NET framework doesn’t do this. Apparently, the function had difficulties contacting its domain controller. A common cause for this is an incorrect DNS configuration, so I checked this first. As it turned out, the DNS configuration was quite complicated and a conditional forwarder for the domain the machine was on was missing. Once this was fixed, the startup speed of the service was back to normal. This message is not helpful at all. 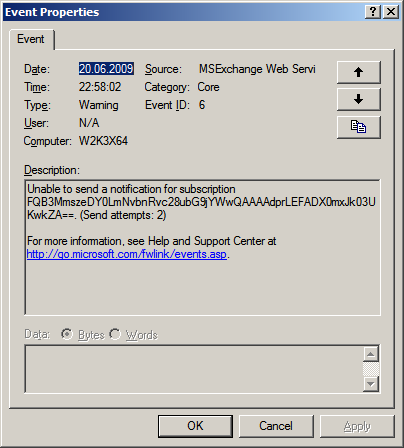 Ok – Exchange could not send a notification a specific subscription. But why? 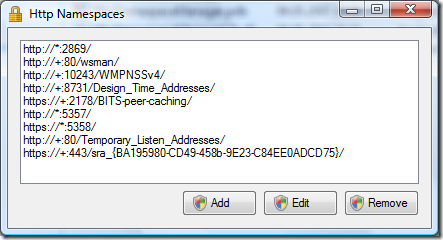 The Exchange server cannot reach the notification listener because a firewall is blocking the access. If the callback address of the listener is secured using TLS/SSL, Exchange will not send notifications if the server certificate used by the listener is not trusted. 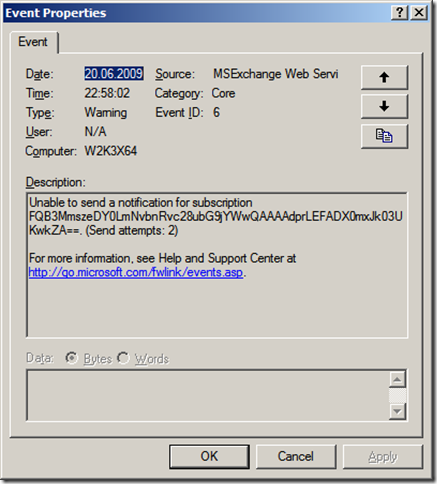 Copy the program on the Exchange server. Open a command prompt and start the program. It expects the address of the listener as the first parameter. The execution of the program can take up to one minute. The source code can be downloaded from CodePlex. This is the fourth article about the .NET component I published at CodePlex recently. To all related articles, click here. If you subscribe to a folder on an Exchange mailbox or public folder, the server will try to send notifications to the registered endpoint of yours upon every modification. If your application is shutdown, Exchange will try to reach it for a certain amount of time. Once this time span has elapsed, it will delete the subscription. If the application is restarted and a new subscription is created, it will be notified about all subsequent events. But for certain use cases, it is imperative that no events are missed – even events which occurred between application downtime must be catched. 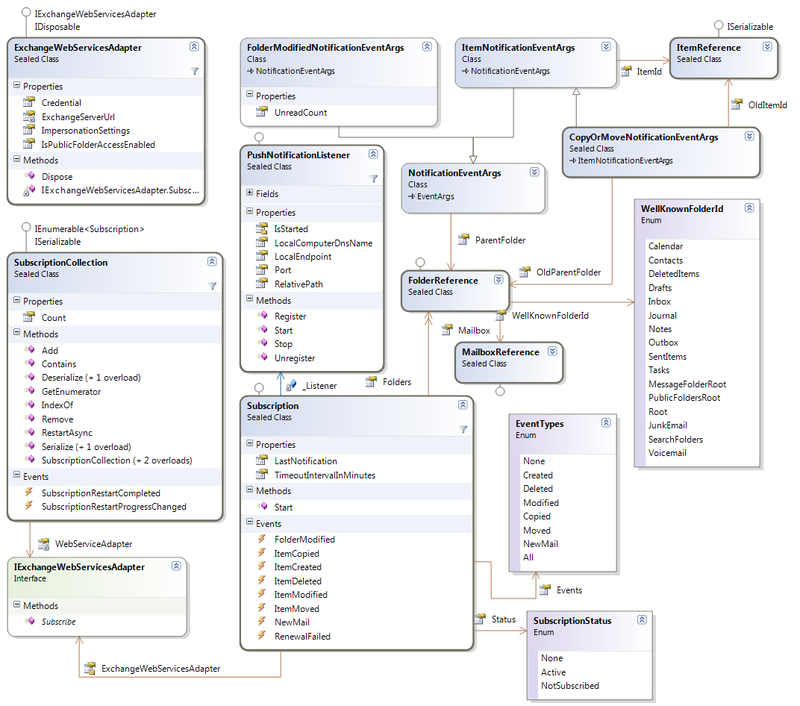 One example for this is a synchronization applications which keeps a sql server database (like a CRM application) and Exchange folders in sync. For these types of scenarios, all Exchange events carry a watermark with them. This watermark is opaque to the client, but for the Exchange server it contains enough information to reconstruct changes made since the watermark was received. To use this features, an application has to save each watermark it gets. The watermark can be sent to the Exchange server along with the subscription request for a folder. Exchange will then replay the events which happened since that watermark has been generated. I’ve implemented this feature in my Push Notification component in the SubscriptionCollection class. It can be serialized to either a System.IO.Stream or System.Xml.XmlWriter. The latter one uses the System.Runtime.Serialization.DataContractSerializer to perform the serialization. 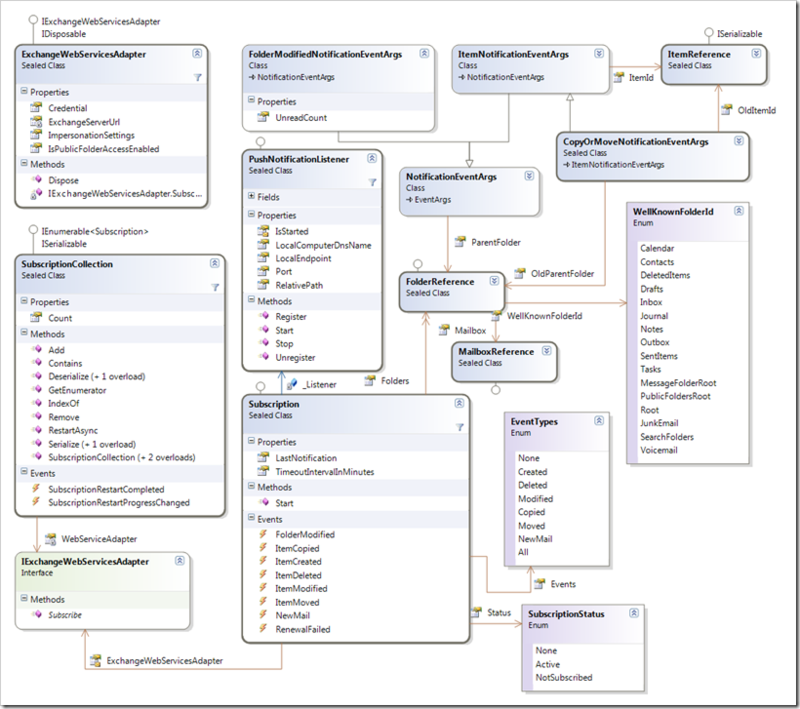 And the way it is used, it requires .NET Framework 3.5 Service Pack 1. If you cannot rely on having this version installed on your clients machines, you should probably use the binary serialization instead. This essentially is the sample from my first blog post in this series, but enhanced to take advantages of the restart capabilities of the SubscriptionCollection class. The program checks to see if there is a saved state from a previous run available. If found, it is deserialized and restarted (lines 35 to 43). Otherwise a new instance is created. Finally, the events are wired to the individual subscriptions (line 57 to 62). And once the application stops, the current state is serialized to a file. Since the subscriptions are restarted asynchronously in the background, the SubscriptionRestartCompleted and SubscriptionRestartProgressChanged events are used to keep track of the deserialization process. The progress changed event handler is raised for each subscription restarted. Once complete, the SubscriptionRestartCompleted handler is raise. 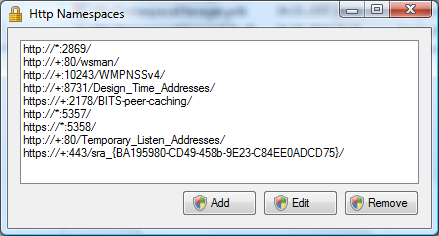 The event args this event handler contain information about all failed restart attempts.